One of the most common solutions for making sure you don't lose your important data is to back it up to a Cloud storage account. This way, your vital data is never lost if you're dealing with virus attacks, system failures or hardware problems. Another advantage of uploading your data to a Cloud service account is that you can access and download the backed up files from other computers as well as various types of media gadgets, such as smartphones or tablets. In a previous article, we showed you how to back up your Windows PC using Cloud storage services among other solutions. In this guide, I will teach you how to easily download all of the backed up files to your local directories. I will use CloudBuckIt, a Windows utility that helps you complete the aforementioned task with minimum effort. The program supports a wide variety of Cloud services, such as Google Drive, OneDrive, HiDrive, Dropbox, Amazon Cloud Drive, and many others. 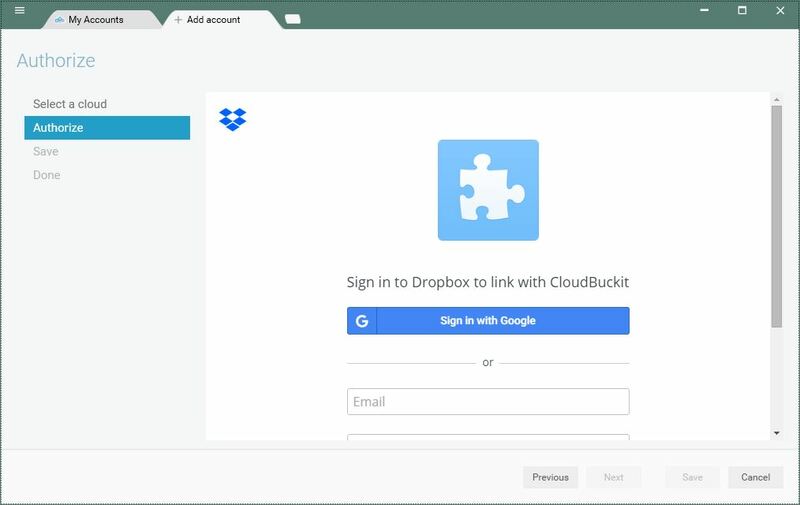 Besides helping you back up and download from your Cloud service accounts, CloudBuckIt also enables you to preview the stored files, delete the documents you no longer need, and even transfer data from one account to another. Install the utility on your Windows PC and launch it. Click on the button showing 3 horizontal lines from the upper-left side of the interface. It will reveal a menu. Select the "Add Cloud Drive" option. 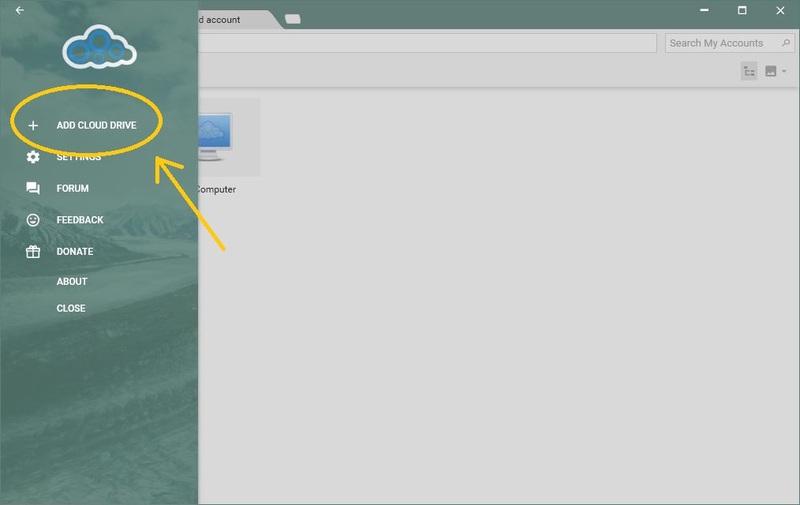 A new tab will open from where you can select the type of Cloud storage account you want to use. Enter the credentials for accessing the data being saved in the Cloud storage account. Authorize the program's access to your Cloud storage account. CloudBuckIt will reveal all of the backed up data in a File Explorer-like window. 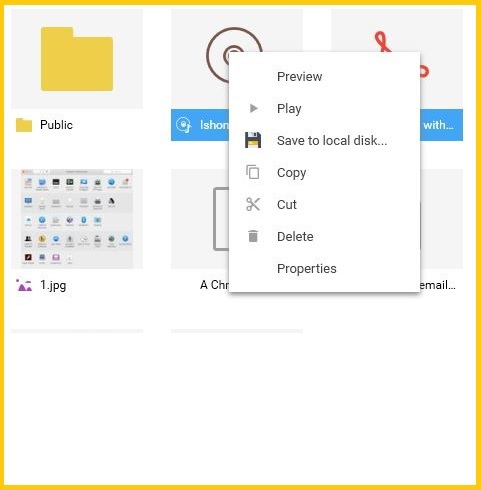 Select all of the listed files, right-click one of them, and select the "Save to local disk" option. Choose a destination folder for the downloaded data and click the "OK" button. That's it. You can make as many file transfers as you like and manage multiple Cloud storage accounts without paying a buck. Clearly, even a beginner can easily complete the aforementioned steps. The question is: would you trust a Cloud service to store your private data? Let us know in the comments section below.